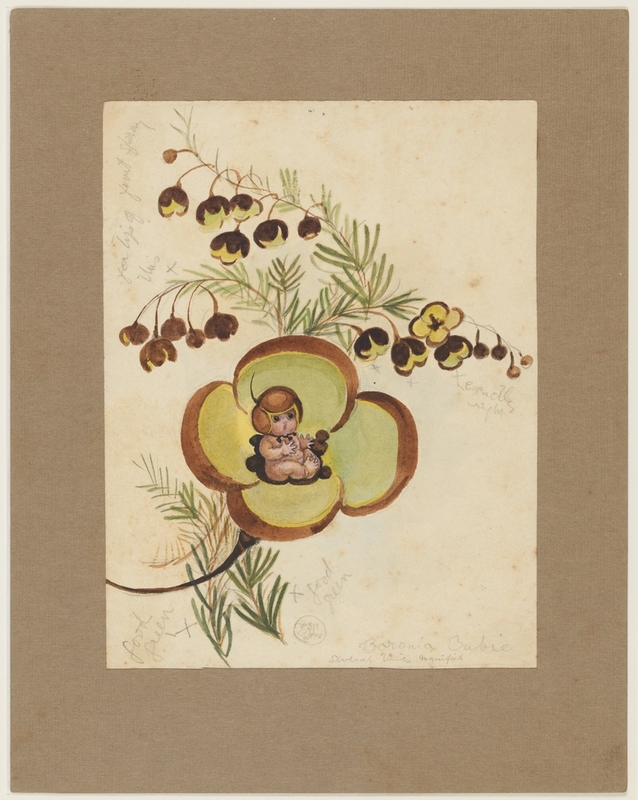 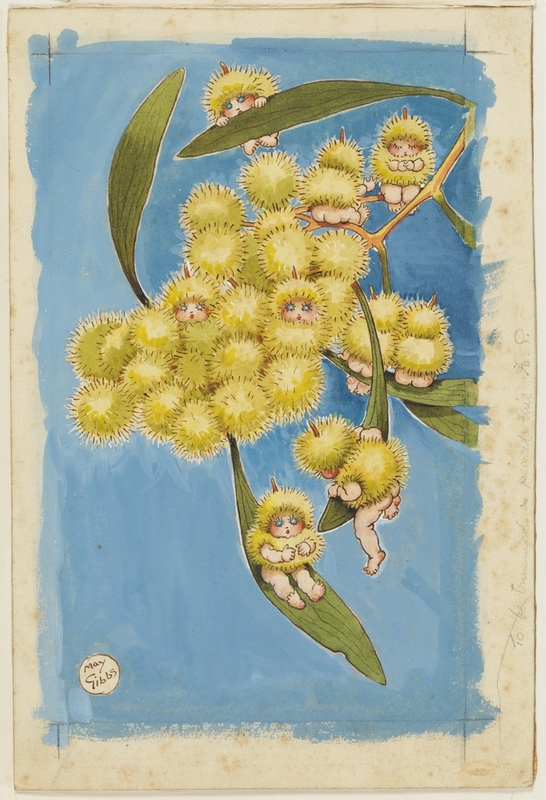 May Gibbs (1877-1969), author, illustrator and cartoonist, has captured the hearts and imaginations of generations of Australians with her lovable bush characters and fairytale landscapes. 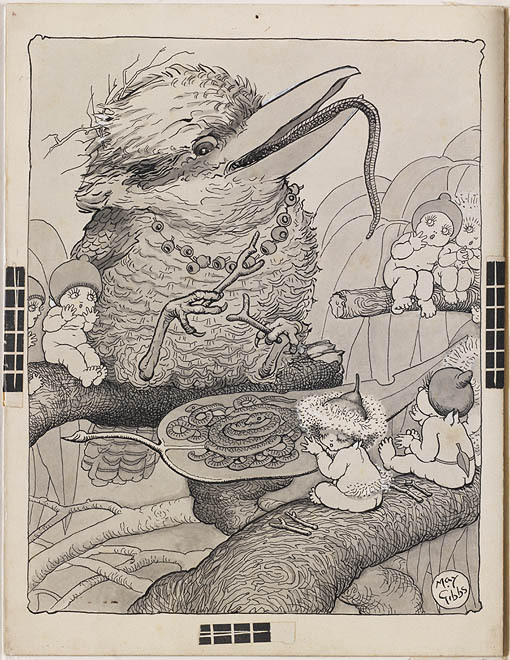 Her iconic children's literature and folklore is still popular, holding a special place in the Australian consciousness. 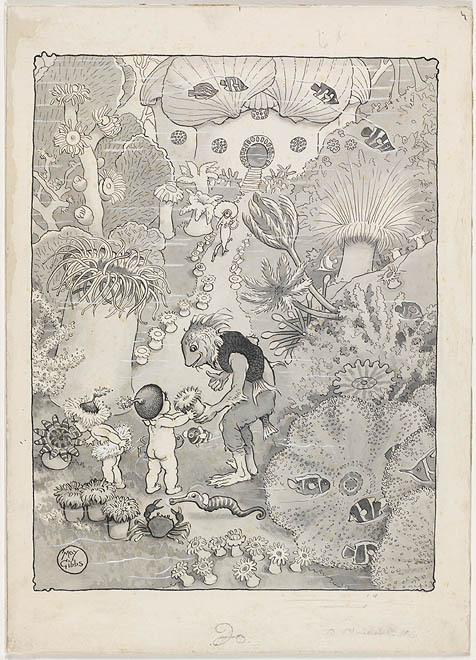 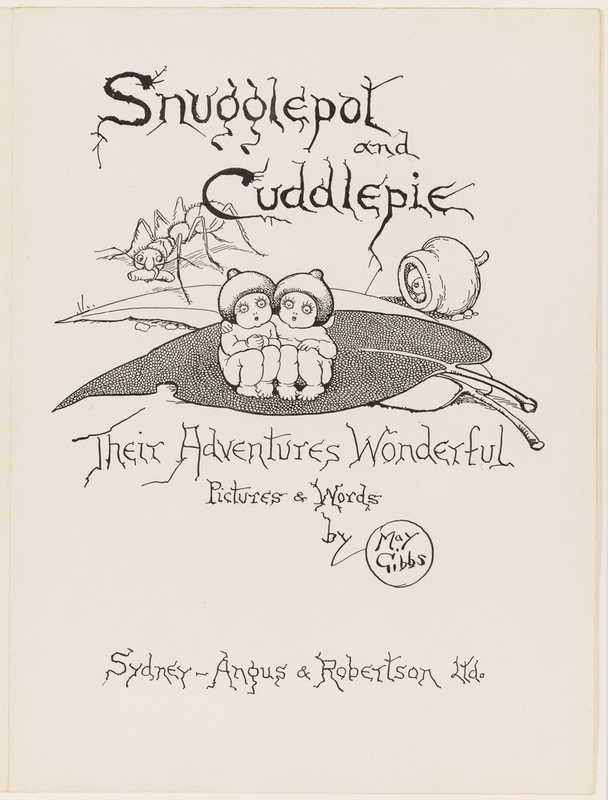 Best known for The Complete Adventures of Snugglepot and Cuddlepie, Gibbs also wrote and illustrated many other children's books, produced long-running cartoon strips, and a variety of commercial work. 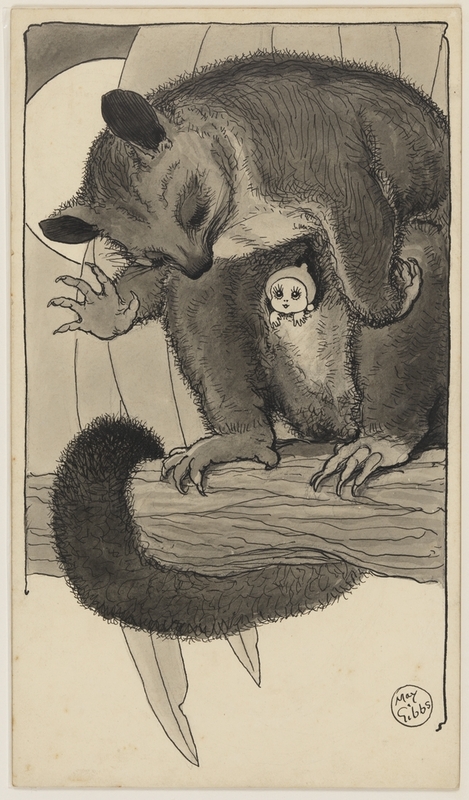 A fiercely determined woman, she was Australia's first full-time, professionally trained children's book author and illustrator, developing a uniquely Australian vernacular. 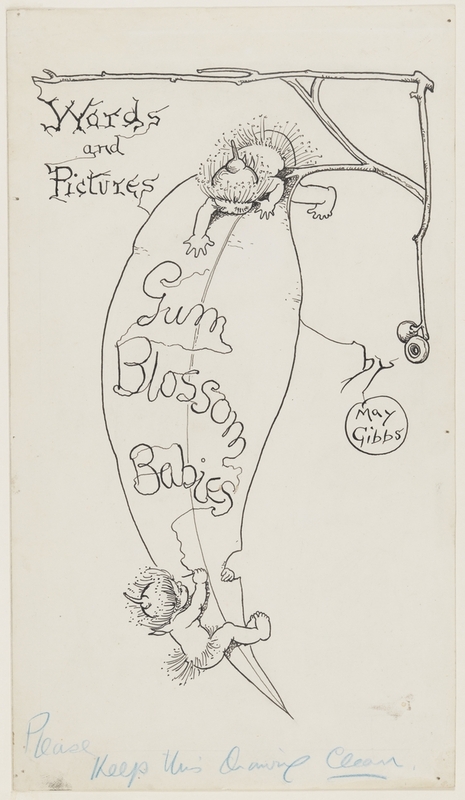 In 1955, May Gibbs was appointed Member of the British Empire (MBE) in acknowledgement of her important contribution to children’s literature. 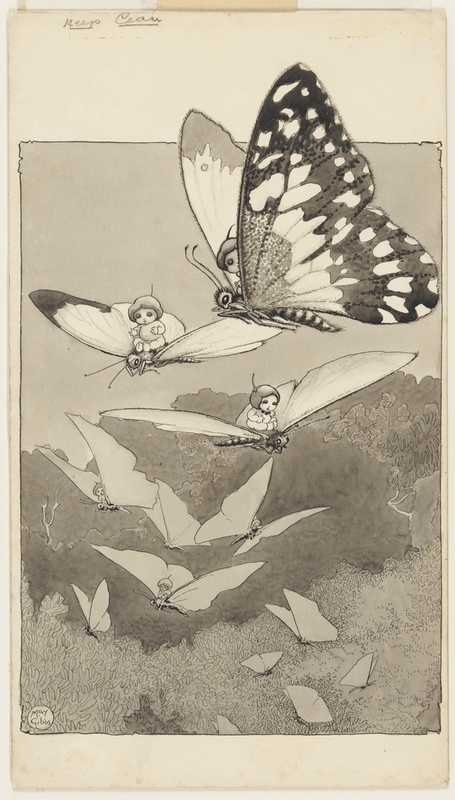 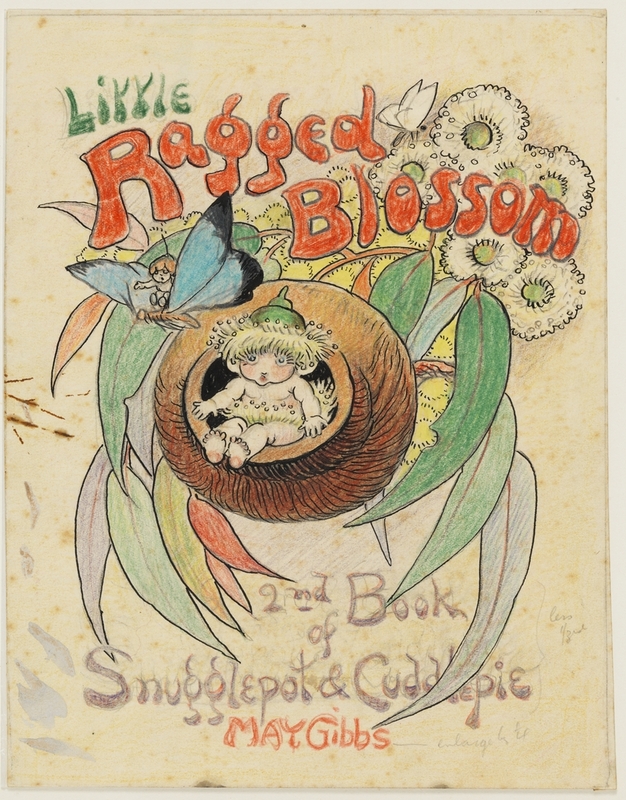 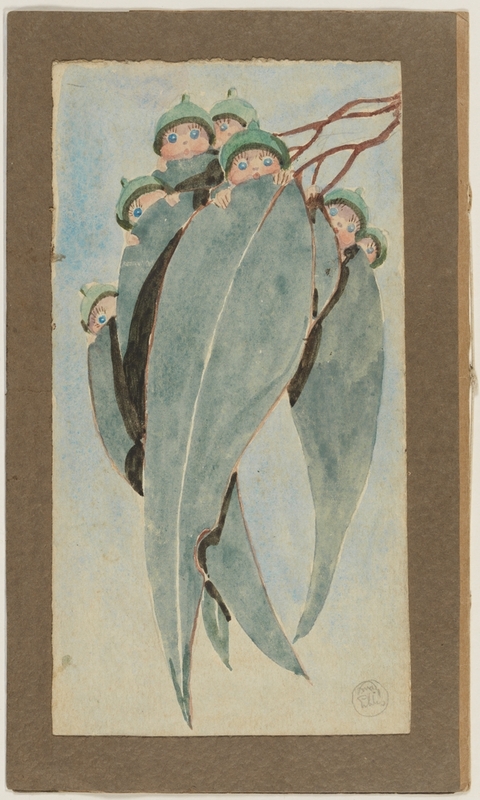 The State Library holds a remarkable collection of May Gibbs’ original illustrations, cartoons and literary papers, most of which was deposited into the Mitchell Library in 1970 by the copyright holders, the NSW Society for Crippled Children, (now The Northcott Society), and the Spastic Centre of NSW, (now the Cerebral Palsy Alliance). 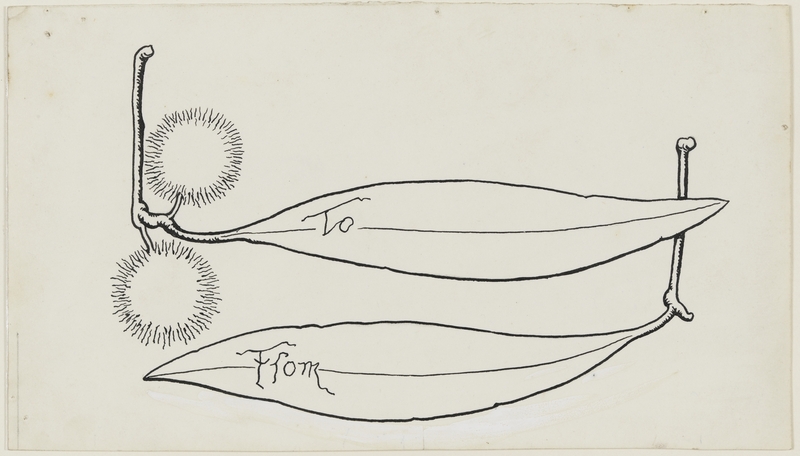 These institutions have kindly given the Library permission to digitise the material and publish it on our website. 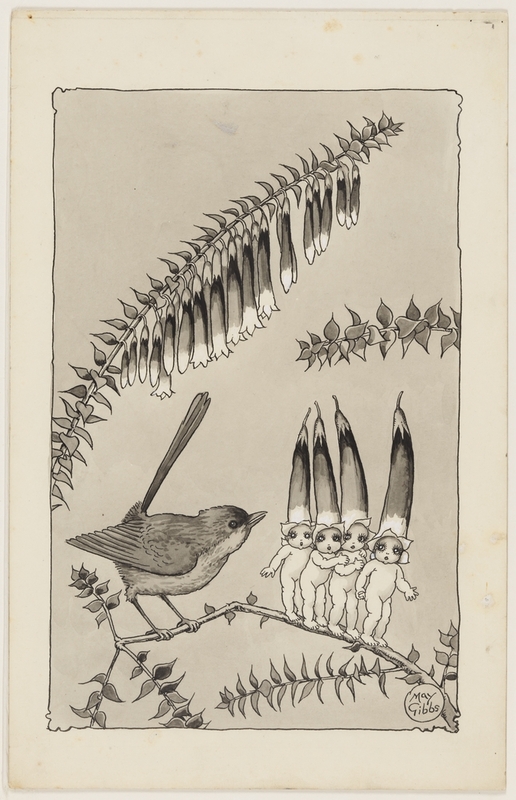 We hope this will introduce May Gibbs and her iconic Australian work to a whole new audience.